Nicely sheltered by the dunes and lining the edge of our Raglan camp ground are our tent sites. With the beach directly behind you and easy access to the communal camp ground facilities you won’t find it hard to get into the holiday spirit here. 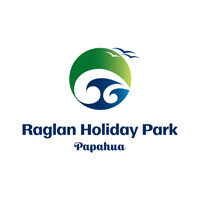 Raglan surfing and fishing at your doorstep. Full communal facilities at our Raglan accommodation include spacious cooking and dining area; toilet and shower blocks, laundry, games room with TV, table tennis and pool table, and an outdoor BBQ area. We are looking forward to welcoming you for camping by the beach the way it used to be.